Pursuing University Education from a foreign country is a dream of many students. Sometimes its a particular course that attracts International candidates and sometimes its just a plain wish to catch a first flight to foreign shores and learn in a completely different settings. 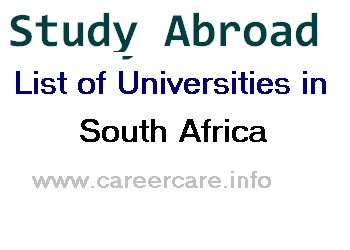 The Universities in South Africa provides higher education in different academic areas, viz; Arts; Humanities; Science, Technology, Engineering and Mathematics (STEM), Computer Science, Architecture, Medicine etc. 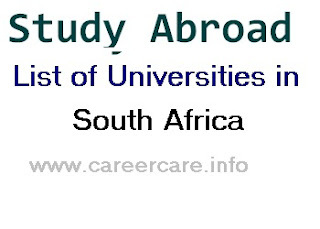 To help students of International community who wish to migrate to South Africa for any reasons whether as a choice or compulsion here given list of Universities in South Africa.